Using a wok, saute garlic in olive oil till golden brown. 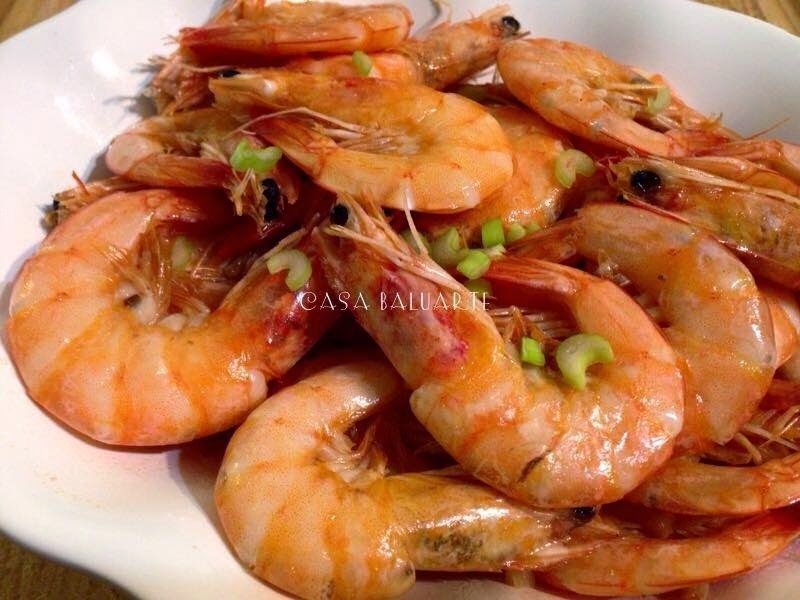 Add shrimp and toss for few minutes. Add the 7 up and salt to taste. Turn heat to high. 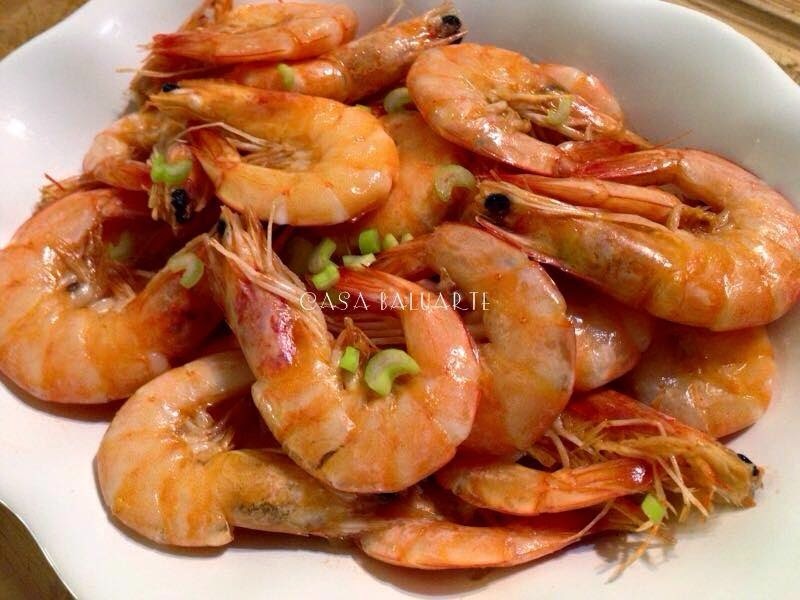 Allow to boil till sauce thickens and shrimp is fully cooked. Arrange in a serving platter and garnish with chopped green onions and serve.